Our jazz bands can do just instrumentals or we add our female jazz vocalist. The groups can be as small as a solo sax with live recording backup which sound like a larger group when the budget and space is smaller, to quartets and quintets with the top local jazz musicians and our female vocalist. If a bigger sound is needed we have the 8-10 piece big band. We have excellent audio for you to review at: (sound cloud link) The jazz band is the perfect fit for corporate special events, award ceremonies, presentations or general session openers, where musical play-ons and play-offs are needed. Sound system and microphone is always provided Mirage will be glad to act as your emcee. From jazz standards that everyone knows and loves to new stylish renditions of contemporary pop songs, MIRAGE will make the difference at your special event. Mirage plays energetic music for your cocktail hour, smooth jazz & soft romantic ballads during dinner and then when you want dancing, we will get your guests up and dancing to a variety of classics in jazz, big band, pop and the band can even do formal ballroom styles for formal event. Get your party moving, dancing and grooving to the up beat sounds of Tito Puente's - Oye Como Va. 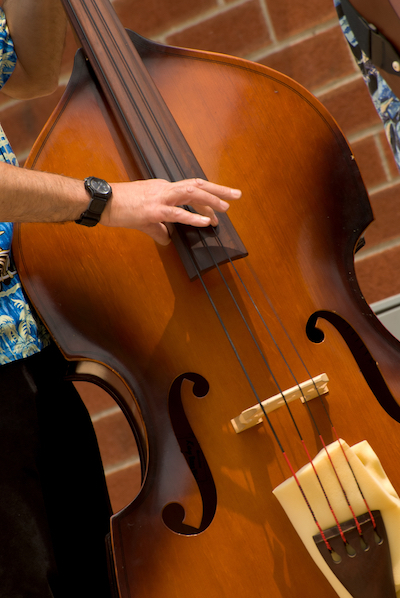 If you are ready to fill your evening with some sizzling sounds, then the Latin Jazz Band is who you want! The Blues Mirage, a San Diego blues band, is a special events music group specializing in blues, jazz, rhythm & blues and classic rock and roll.